Gadgil had done extensive study on Goa’s environment based on the data provided by iron ore mining companies in their Environment Impact Assessment (EIA) reports in 2011. 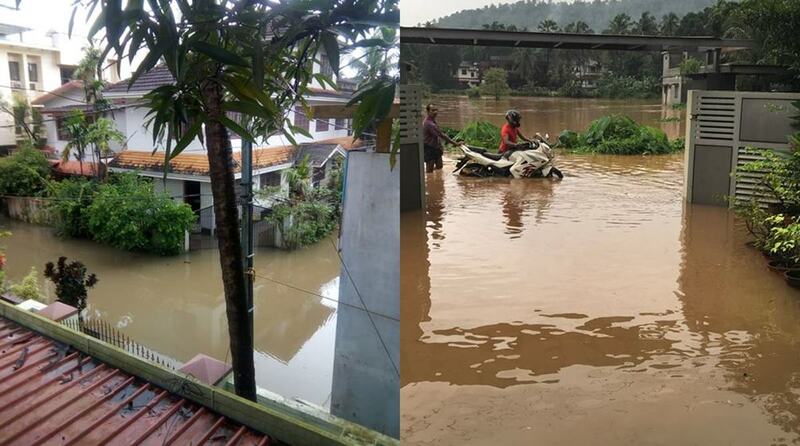 Flooded localities in Kozhikode (left) and Malappuram on Wednesday. Noted ecologist Madhav Gadgil has warned Goa may face the same fate as the flood-battered Kerala if it does not take precautions on the environmental front. Like in some other states, Goa, too, is witnessing activities which are driven by greed for unlimited profits, said Gadgil, who headed a committee that authored a widely debated study on the Western Ghats a few years ago. “Certainly all sorts of problems are beginning to surface on the environmental front in the Western Ghats. Goa, of course, does not have Western Ghats which are so high as in Kerala, but I am sure Goa will also experience all sorts of problems,” he said, reacting to the worst-ever floods in the southern state. According to PTI, Gadgil said the reason for not taking any environmental precaution is purely greed for unlimited profits. “You have seen it in Goa too. 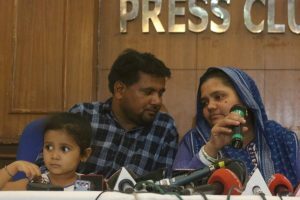 The Union government-constituted Justice MB Shah commission has estimated illegal profits of Rs 35,000 crore from illegal mining,” he said. “There is also enormous profit in the business of stone quarrying while there is very little investment,” he added while talking about rampant hill in the Western Ghats. “The greed for enormous profits has been allowed to go on unchecked, which has actually worsened economic disparity in the society. So now those who are making money through these means are even more effective in getting the government allow this kind of rampant illegal behaviour,” Gadgil said. The ecologist said governments have been lax on implementing environmental norms. “The central government is actually bending over backwards to make sure the National Green Tribunal does not function properly,” he said. Gadgil had done extensive study on Goa’s environment based on the data provided by iron ore mining companies in their Environment Impact Assessment (EIA) reports in 2011. He had then said the mining companies submitted false information in their EIA reports. “In Goa, they had asked me to look into the impact of mining on environment. Every EIA suppressed fact about hydrological impact of mining,” the 73-year-old expert said. “On ‘sadas’ (plains) of Goa there are a lot of streams which are originating but they dont mention about them in their EIA reports. All kind of false statements are made in these reports,” he said. Gadgil had headed the Western Ghats Ecology Expert Panel (WGEEP) set up by the government. The WGEEP, in its 2011 report, had recommended that several areas in Kerala which come under the Western Ghats be classified as ecologically sensitive. The panel had recommended strict curbs on mining and quarrying and on use of land for non-forest purposes.